has anybody played one of these??? Wow man good find! i love finding fender guitars i have never seen before! Heres what they have to say " Co-designed by Courtney Love and the Fender Custom Shop, this fresh new design embodies unique features and delicious tone! Body: Solid basswood. Neck: Maple; 25.5" scale. Fretboard: Bound rosewood w/22 frets. Electronics: HB pickup (bridge), single coil pickup w/staggered Alnico pole pieces (neck), 3-pos toggle, master volume. Pickguard: White shell. Hardware: 6 saddle adjustable bridge with strings through body design, traditional machine heads, all nickel w/chrome plating. (Gig bag included, U.S. & Canada only). " a whole website dedicated to the Venus =) eat your heart out bro! my brother has a sunburst 6-string venus he picked up not too long ago and he absolutely LOVES it. i have the 12-string version, and they're SO well built that it still amazes me how/why they'd call them Squiers (not that there's anything wrong with Squiers!). they're confortable but i hate the huge pickguard. other than that... a great (rare?) find. they were only made for a year or two, as part of the Vista Series, along with the original series Jagmaster and Super-Sonic. budda12ax7 wrote: has anybody played one of these??? 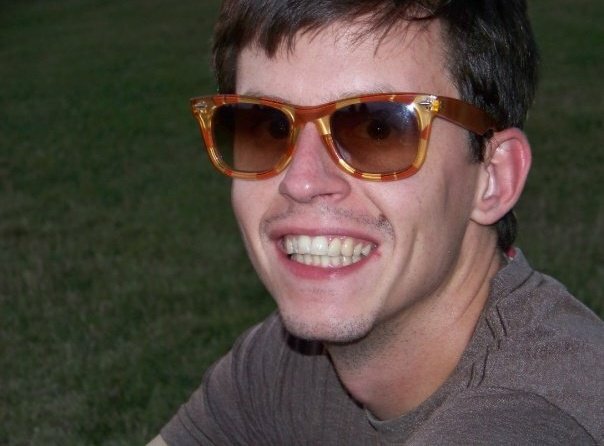 Yeah, I tried out a black one, at the local Music Go Round a couple of times, several months ago. The body sure looked small compared to the neck. They were asking more than I was willing to pay ($300 - I would have given them $200 for it), since it needed some work (the pickup selector, and volume pot both were at the stage, where they needed to be changed), and was kind of grungy looking. It sounded pretty cool, albeit a bit brighter than your typical humbucker equipped guitar. 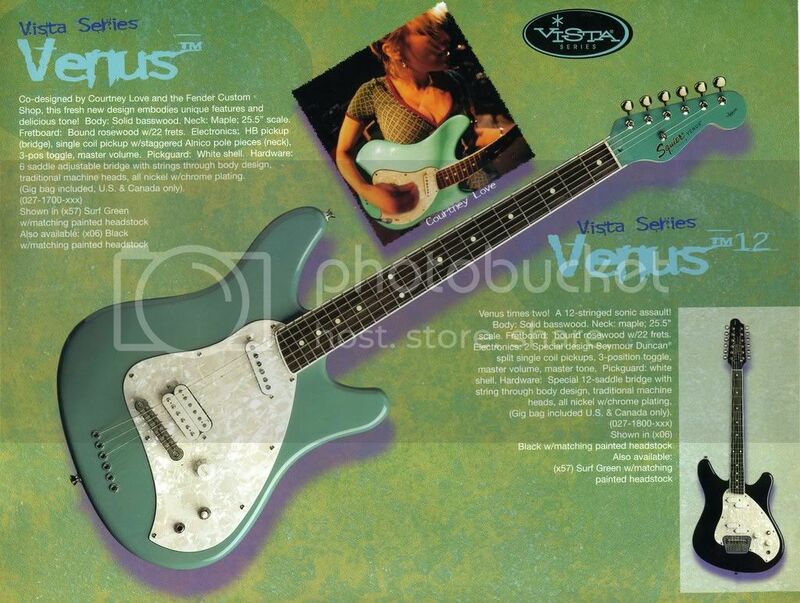 Also, like a Vista Jagmaster I tried out once, the pickups were a bit microphonic at high gain. The reason is I saw this band in San Diego called "Mommy and Me"....(crap name if you ask me) The singer/guitar player was doing her best/worst as best Courtney Love thing, but she played this Venus through an Engl amp...kinda cool sounding. There's one of those, in that blue color, hanging up at a local pawn shop. I think they want like $599 for it though. i have a black one. it's ok. it's built well and plays pretty good. it just bores me. i want to put some lipsticks in it someday. The bodies are smallish on these things. However, it plays really comfortable! They are 24" scale and basically have the same neck as Japanese Jags and Vista Jagmasters. 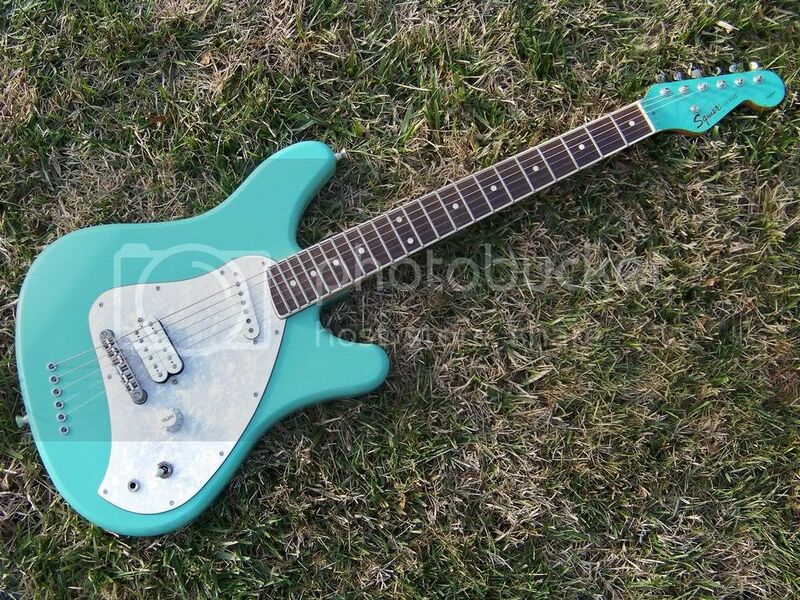 The color was called surf green, but the Japanese got this way wrong as this guitar is seafoam green without question!